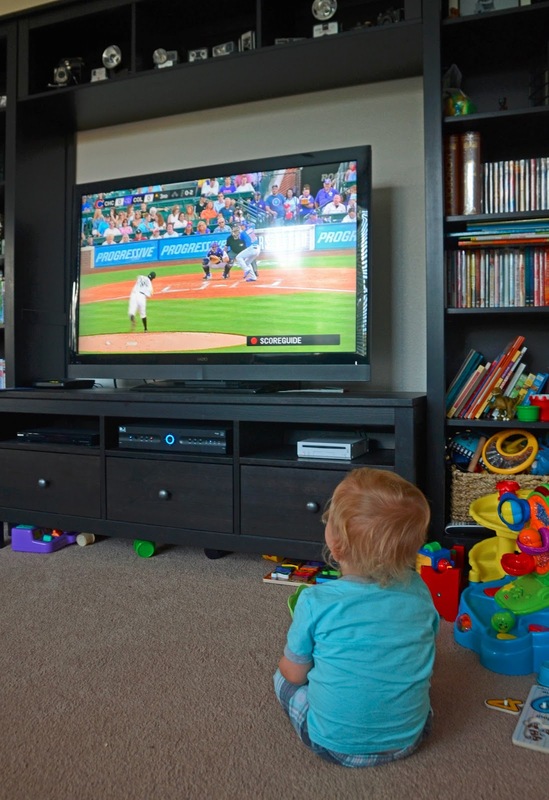 This little guy doesn't get to watch much TV yet, but when he does he LOVES to watch a "ba ball" game with his daddy. Anytime he sees a baseball on the TV, or in person, he gets so extremely excited and proudly proclaims "Ba Ball!" while he points widely.